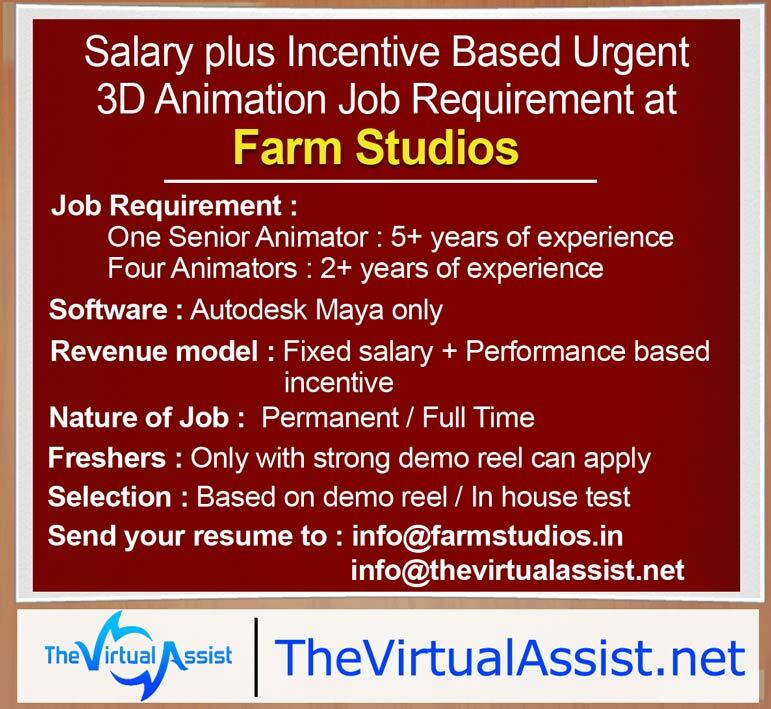 Farm Studios have urgent Job Requirement of Maya Animators. The 3D Animation job is based on salary plus incentives. Check out complete vacancy details and apply online. Having a huge experience of delivering number of successful 3D projects, now Farm Studios is shaping up a new job model. The 3D artist will be given salary plus incentive. The complete job opening details are as follows. Probation period : One month only. During the probation period, salary will be given without incentive. Please don’t attach your demo reel with the mail. Give link of show reel in your resume. Mentioning of your current and expected CTC in resume is mandatory. Do subscribe the blog to get all latest 3D Animation and VFX Job Requirements and openings.